The great gallery and hall. 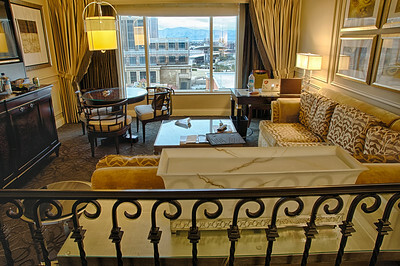 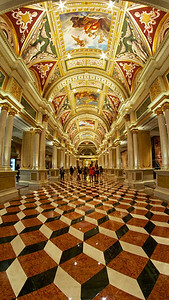 The Venetian Hotel. 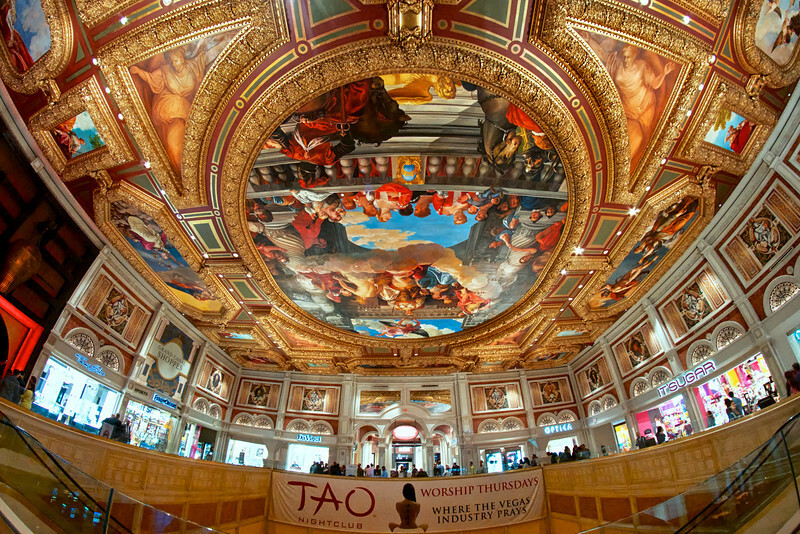 The Grand Hall leading to outdoor gondolas, Las Vegas Blvd, and Doge's Palace. 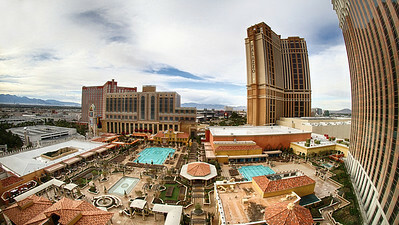 The Venetian Hotel. 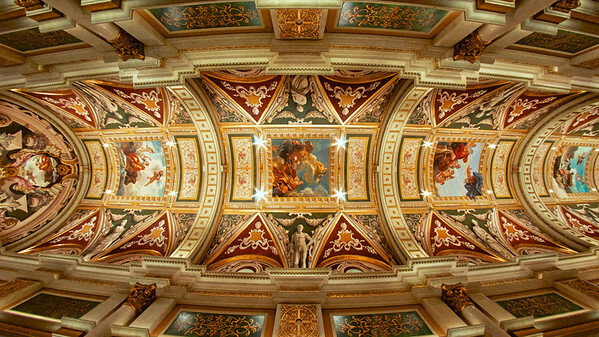 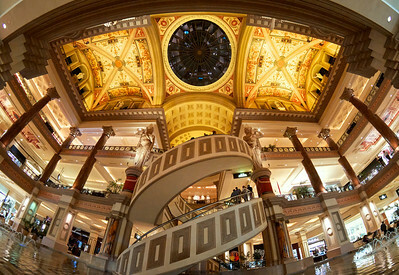 The ceiling at The Venetian Hotel. 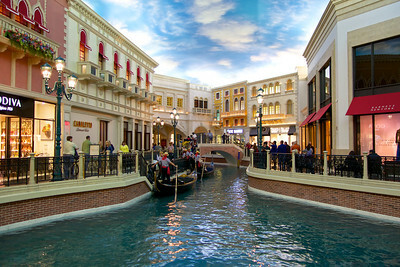 The outdoor canal and Doge's Palace, a replica of the Palazzo Ducale di Venezia in Italy. 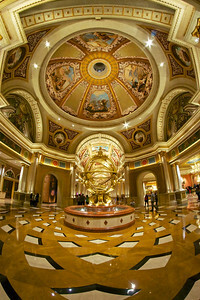 The venetian Hotel. 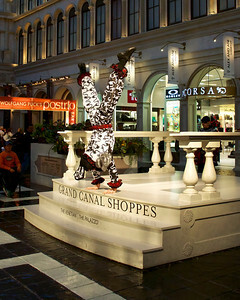 Grand Canal Shoppes featuring a Living Statue performer. 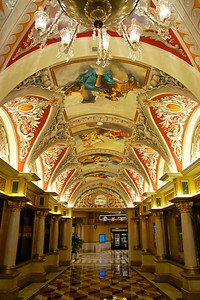 The venetian, Las Vegas. 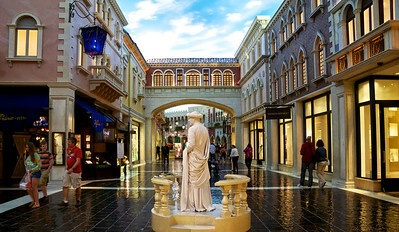 Street performers take center stage at the St. Mark's Square. 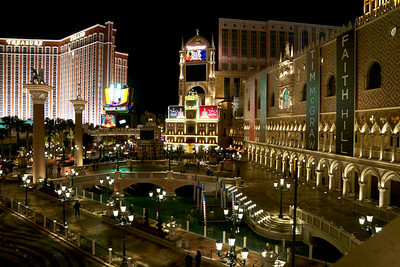 The Venetian Hotel. 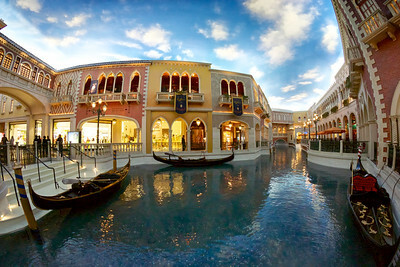 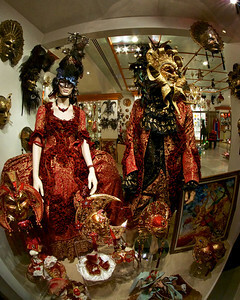 The Lionesse Boutique, one of the many Grand Canal Shoppes. 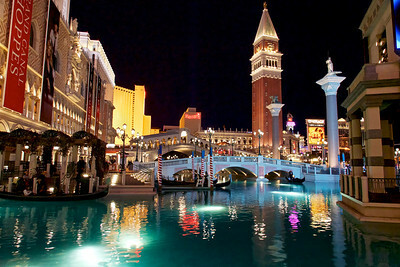 The Venetian hotel. 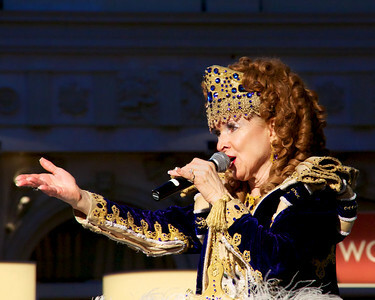 An opera singer performing in St. Mark's Square. 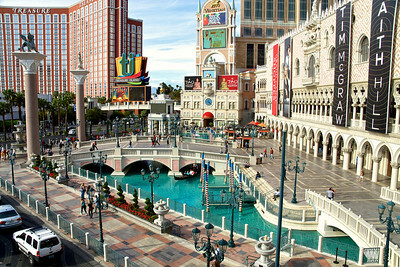 The Venetian Hotel. 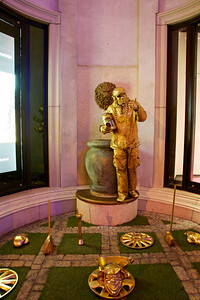 A living statue street performer creates his own outdoor stage outside of Caesars Palace. 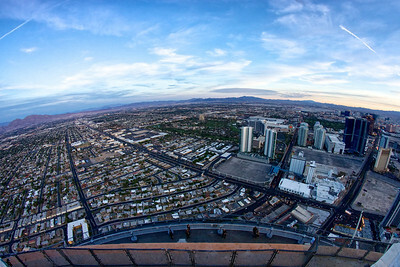 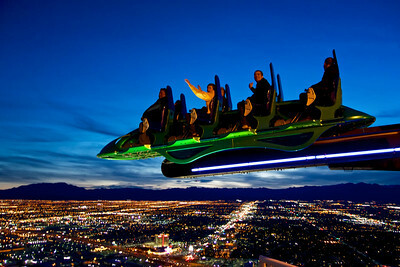 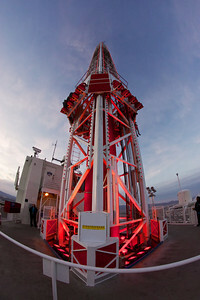 The world famous Big Shot ride on top of the Stratosphere Hotel. 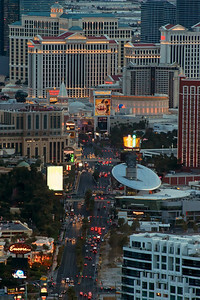 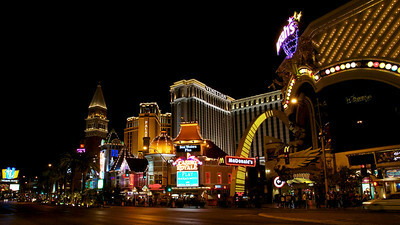 A slice of the Las Vegas strip. 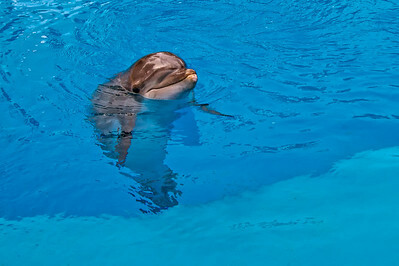 Dolphin peaks out of the water at the Secret Garden at the Mirage Hotel and Casino. 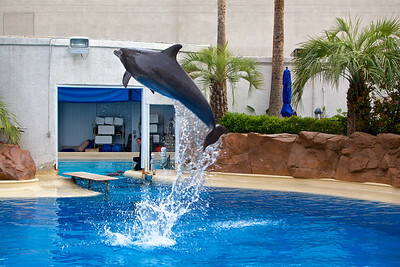 Dolphin at the Secret Garden at the Mirage Hotel and Casino. 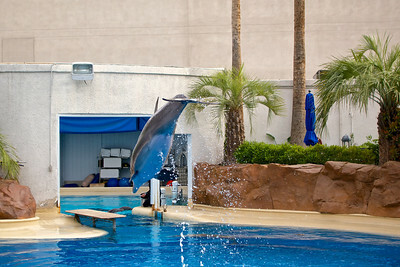 Dolphin leaps out of the water at the Secret Garden at the Mirage Hotel and Casino. 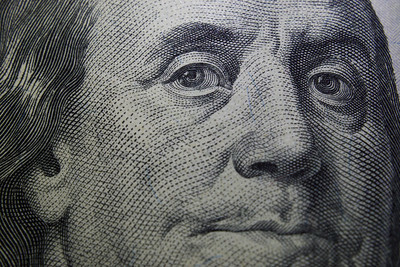 Ben and a C-note up close! 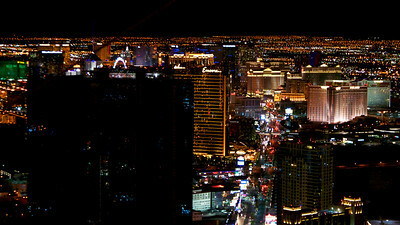 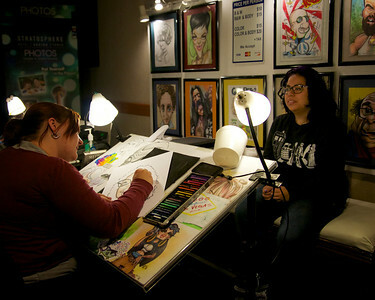 To get this shot I had to stand behind an empty information booth which quickly alerted hotel security. 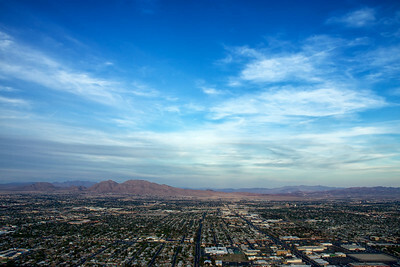 Fortunately, one shot was all I needed.